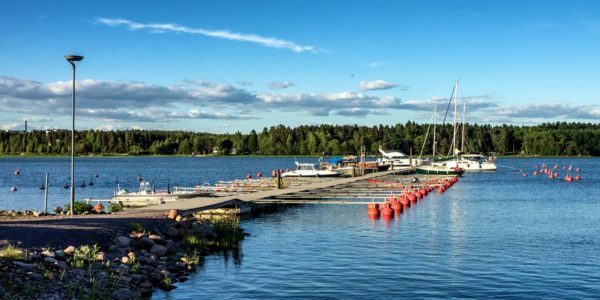 Loviisa and the Laivasilta marina - Sail in Finland! Just as the other cities along the eastern shore of the Gulf of Finland, Loviisas (Lovisa in Swedish) history is tied to the many wars fought by Sweden and Russia along the Finnish borders. In 1745, Sweden lost a great slice of eastern Finland. Sweden now needed a new trade city to replace in particular Hamina (Fredrikshamn) and in 1745 Loviisa was founded, first under the name of Degerby. The Swedish king Adolf Fredrik visited the city in 1752 and apparently liked what he saw because he decided to rename the city after his wife, Lovisa Ulrika. To protect the city, fortifications works were started. 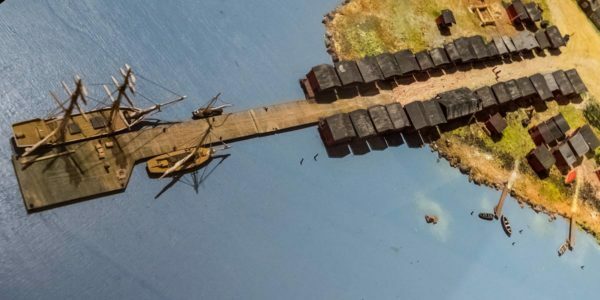 The fortifications around the city itself were never properly completed, but the Svartholm island fort at the entrance to the city became a reasonably important installation and played an important role in the 1788-90 war. Just like many other military installations, also Svartholm was sacked by the English-French navy in 1855 during the Crimean war. The busy Loviisa Laivasilta harbor in the early 19th century. Loviisa was founded as a trade city and trade was a very important during the 18th and 19th centuries. During the sailing ship days, over 200 sailing ships from Loviisa were involved in international trade. One of the most important products was salt. The current Loviisa marina is located where during this time an import salt harbor existed. The importance of the Loviisa inner harbor declined with the advent of steamships and the building of the Valko harbor further out to sea. Today Loviisa is a quaint small city which blossoms in the summer. In Finland Loviisa is perhaps best known for the nuclear power plant just outside the city. If you are interested, the site is open for visitors. The second thing Loviisa is famous for are its wooden houses with well-kept gardens. 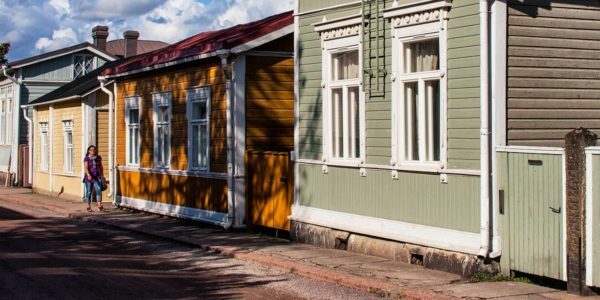 Therefore it should come as no surprise that the two biggest events in Loviisa are the annual garden festival Loviisa Open Gardens and the Loviisa Old Homes event. Loviisa Open Gardens consists of multiple events from late May until early July where people open up their gardens for visitors to admire. The Loviisa Old Homes is an event in the same spirit. Dduring the last weekend in August people open up their homes (or renovation projects soon to be homes) to showcase wooden house renovation, interrior decoration and life style. The latter event is a must-see for anyone living in or planning to buy an old wooden house. The Loviisa marina is located on the western shore of the Loviisa bay. The name Laivasilta (Skeppsbron in Swedish) literally means “boat bridge” and goes back to the times when the city’s salt trade was centered on Laivasilta. The red buildings in the harbor are old salt warehouses and add an touch of nostalgia to the marina. Loviisa Laivasilta in the days of the salt trade. Model in the Maritime Museum. The marina has room for 50+ boats. 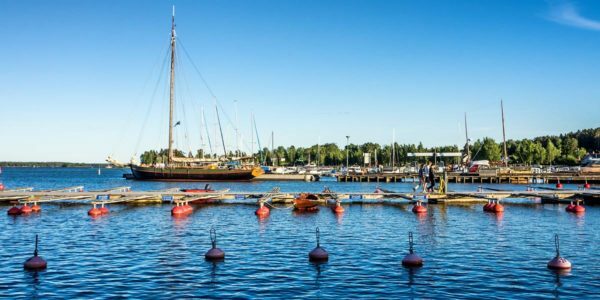 It has all the typical services of Finnish marinas including of course a sauna, showers, electricity and a filling station. It is sheltered from all westerly winds but a bit open to easterlies. 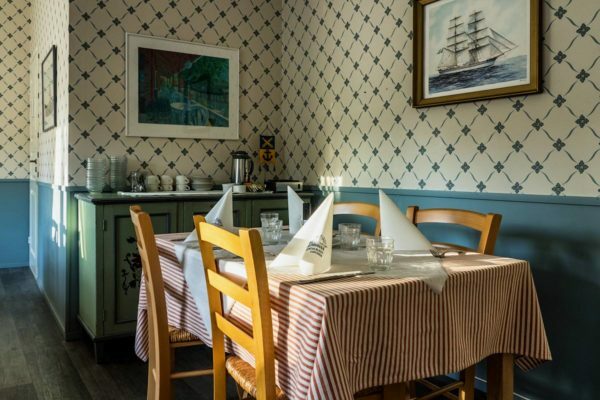 Laivasilta is a culinary haven. There are two restaurants just off the jetty and two more in the nearby square. In the marina you can find cafe/restaurant Laivasilta (hint: try one of their hamburgers) and the slightly more upscale Saltbodan. A few meters further inland you have twins bistros Cantor and Ölvin (Swedish for “beer and wine”, should give you a hint). My recommendation: stay for a couple of days and give the ship’s cook a few well deserved days off! Interior detail from the restaurant Saltboden. 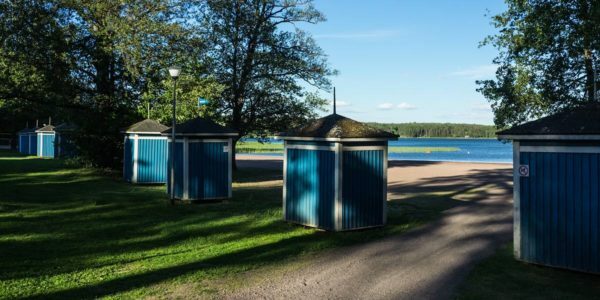 If you are looking for activities, there are plenty around Laivasilta. There is a small art gallery and a shop for African handicraft (!) in the red buildings lining the harbor. The main attraction in the marina is the very interesting Loviisa Maritime museum. 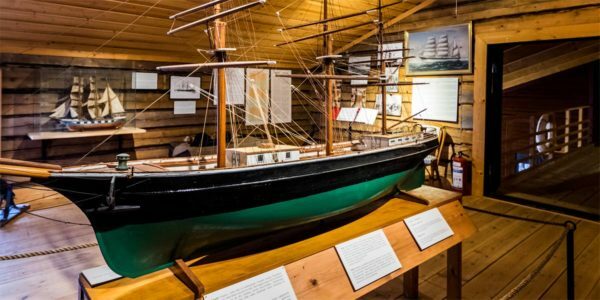 The museum tells the story about local seafaring from the 18th century unti present days. Unfortunately the exhibition is only signposted in Swedish and Finnish but you can ask the very nice staff for a tour. The marina is also home to the beautiful yacht Österstjernan. 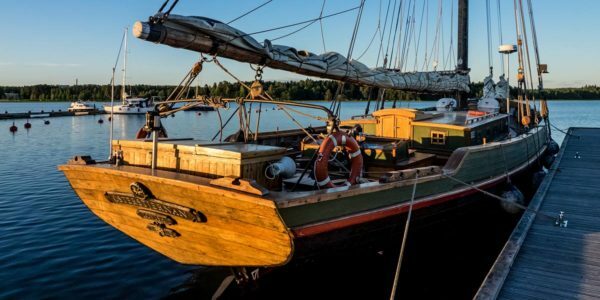 She is a modern day replica of a yacht that 1815 – 1848 sailed with passengers and cargo between Loviisa and Stockholm/Sweden. Österstjernan does occasional tours so if you are lucky, you can experience a sail on a traditional ship. Österstjernan is a replica of a 19th century yacht. If you want to stray a bit further, the marina is located in the middle of Loviisa’s wooden house district. Roam the narrow streets for a cuteness overload from the well-kept houses and gardens. A bit to the south you can find the Tullisilta area that used to be an other major landing spot for trading ships. Today you can find there a very nice beach with a massive children’s’ playground in the shape of a ship. The Loviisa city center is located about 1 km to the north of the marina. The city center offers all the services of small Finnish cities: grocery store, pharmacy and other shopping opportunities. If your boat needs maintenance, you can find help in the nearby Valko harbor. M-Yachts is a full-service boat yard that can cater to both your immediate service needs as well as your winter storage needs, would you want to leave your boat in Finland over the winter. In case your sails need servicing, Doyle Sails has a loft next to the M-Yachts boat yard. Scroll down for some more info! 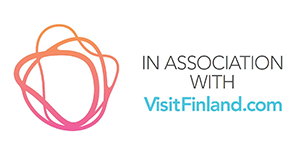 For more information on Loviisa, check out the Loviisa tourist info pages. If you like Sail in Finland, you can support it by booking a cruise or charter on Dokk. A boating paradise for kids! 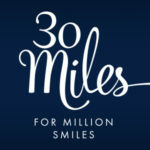 Copyright © 2019 Sail in Finland!. All rights reserved.